Nirvana had its start under its founder Boltar, who was a student at the Illinois Institute of Technology. The game was accessible under the domain name of ‘elof.iit.edu:3500′ (192.41.245.90:3500). 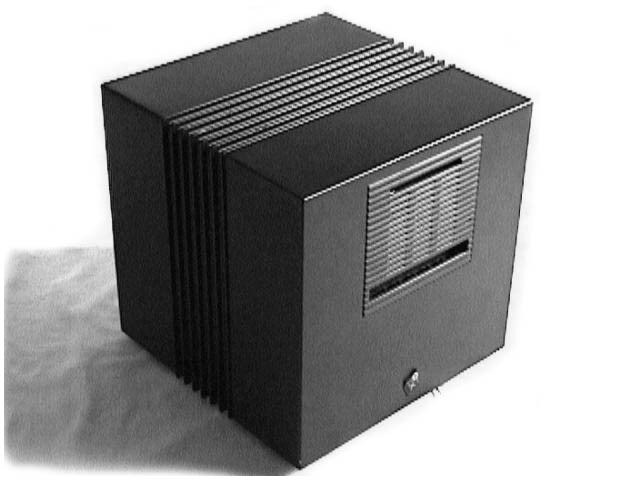 The original server was a NeXT Computer, a state of the art machine at the time. NeXT never sold any commercial blockbusters and were not very well known outside of academic and engineering circles, but were very suitable for the job of doing advanced computing work back then. NeXT systems were famous for a variety of reasons, probably the most notable being the platform that Sir Tim Berners-Lee used to create the first Web server on December 25, 1990. Along with Boltar, the first wave of wizards – Sandman, Hagbard, Molasar, Rich, and Haji helped build out the skeleton of the MUD with the first original areas in the game. Originally the player base were locals from just IIT and UIC, but grew quickly from all over the world as other university locations began connecting over the nascent Internet as we know it today. 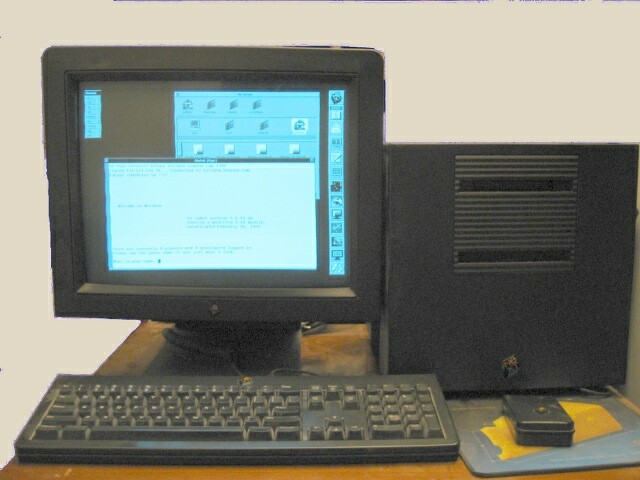 At some point in the early days, the server was upgraded to a newer model NeXT Computer with the Motorola 68040 processor and 28MB of system memory. Despite this, it became clear fairly quickly however that the server was underpowered as the wizard and player base grew. During peak periods things would slow to a grinding halt, sometimes with a minute or so between individual commands. Available CPU horsepower was the bottleneck. The actual elof.iit.edu server. It still works! At the time however there really was no other equivalent real-time multiplaying game of its genre and despite the lag, this was groundbreaking fun from a player perspective. For the wizards, quite a few got a taste of object-oriented programming, and for some of them it launched lucrative careers in the creative sector, information services, and information technology fields. Another reason for the relative slowness was that several other MUDs of varying flavors (LP, Diku, and others) ran concurrently on the elof.iit.edu server. Eventually those MUDs either closed down or moved to their own machines, and Nirvana eventually became the sole tenant. Nirvana started off free to play on, and remained so throughout the years with the help of many players and wizard contributions- many of which are memorialized in the rack of candles in the village church, viewable to all. The server had its occasional hiccups but for the most part served reliably and well. Its hard drive failed once, and a replacement unit was donated by a fellow player Mike at cmaster.com (ChatMaster BBS). Eventually it was time to leave the protective womb of IIT, and Boltar moved the game to a dedicated MUD hosting provider named mudservices.com. The server was now nirvana.mudservices.com:3500, and the game driver was ported to run under Linux. From there the game had a stable home for a number of years. The new PC hardware was much faster than the original NeXT server, and another golden age of construction and new players had arrived. The machine was a Pentium processor with plenty of disk space which fueled more growth. By this time, newer graphical games such as EverQuest and Ultima Online had begun to appear. Yet, despite their graphical allure, Nirvana still had a place in multiplayer gaming. Troubled times for mudservices.com began however, as the company was acquired by a regional Internet service provider, and in turn, the ‘acquirer’ became an ‘acquiree’ by yet another company. The quality of mudservices.com’s offering began to degrade significantly as the parent company tried to focus on its core competencies. Service was generally reliable and the MUD was never in an unavailable for extended periods of time, but after several day-long outages it was clear something needed to be done. The solution was something elegantly simple. As the cost of personal collocation dropped in the early 2000′s, it was easier for many to have access to carrier-grade Internet connectivity housed in proper datacenters at reasonable and affordable prices. Mizan happened to have such a machine in collocation and offered to host the MUD from there. In this computing epoch, the system requirements of hosting a MUD server had become incredibly frugal relative to the available power of even a low end server. Mizan’s server in 2006 was a rackmount system with 2.5GB of RAM and 300GB of drive space. The operations of the MUD would continue on his machine without affecting the overall performance of other existing applications. In 2010, the MUD was upgraded to run on its own virtual server on Mizan’s hardware. It finally now had a place on the Internet all to its own, complete with this website and other supporting services in its own self-contained operating environment. In 2011, this website was created to replace the one which served the game well but was long outdated. Most of its content is completely new and updated. Boltar still is the administrator of the game, actively involved with its day-to-day operations, and continues to guide it with an even hand. Additionally, another universal constant remains. Nirvana is 100% free to play and be a wizard on.